In this Demonstration, a cylinder fitted with a weightless, frictionless piston initially contains a liquid slightly above its saturation pressure; the volume above the piston is initially under vacuum. 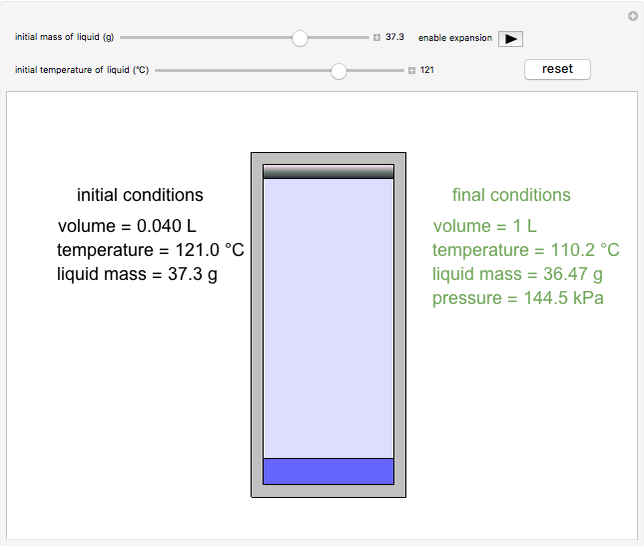 You can select the initial mass and temperature of the liquid using the sliders. The final volume is fixed at 1.0 L. Expansion is enabled when the orange stop is removed. 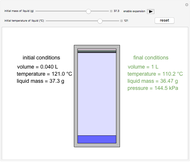 The piston then moves to the top of the cylinder as some liquid evaporates, resulting in the final values of temperature, pressure and liquid mass, as shown. The temperature drops due to evaporative cooling, while the final pressure reaches its saturation value. Use the "reset" button to start again. 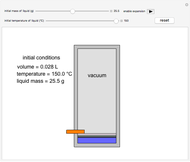 The liquid volume in the cylinder is exaggerated relative to the vapor volume for better visualization. 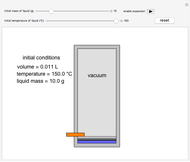 where is final mass of liquid, is the final mass of vapor, is the final specific internal energy of the liquid and is the final specific internal energy of the vapor. 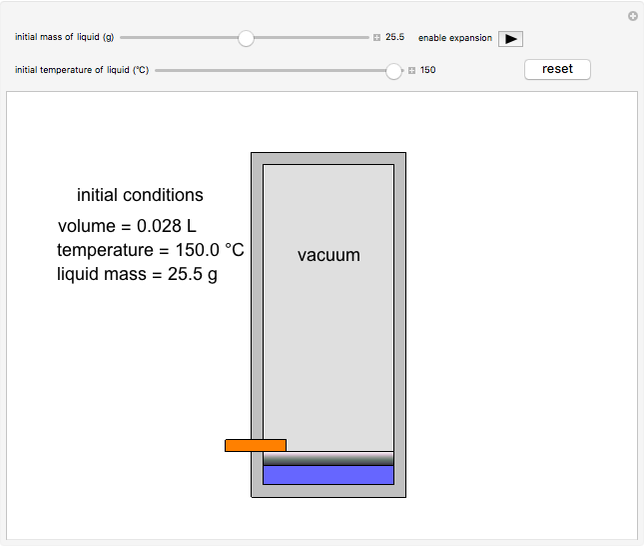 Published steam tables are used to solve for the final temperature and the final amount of liquid. Neil Hendren " Adiabatic Evaporation of Water into Vacuum"